(Almost) all you need to know about the Stab High event! 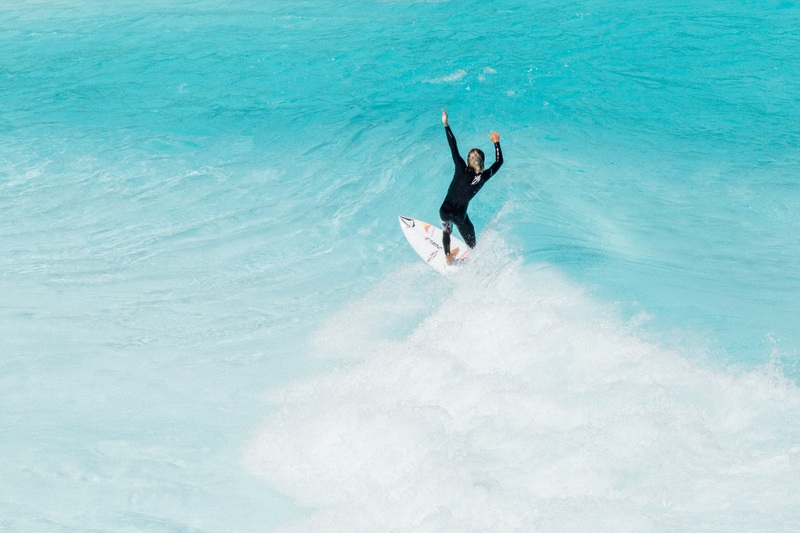 With the Surf Ranch Pro now gone, packaged into terabytes and terabytes of neat, little media packages and social posts, wave pool contest fans have a wilder, hairier event to look forward to. The irreverent, cutting, not-so-sober entity of Stab magazine is launching an event at the BSR Sirf Resort that offers dirty fun and provides a foil to the fastidiousness of a WSL CT Event. The Stab High contest will feature 20 surfers and score only airs. Points are awarded for height, speed, distance, innovation and overall chutzpah. The four-hour event will have food trucks, music, an after party and ticket holders can float use adjacent waterpark attractions. Stab Magazine’s obsession with wave pools runs deep. They produced the “Fair Bits – Man Made” Kuala Lumpur video during the knee-dragger Boardshort era. And since then have dropped in at Valley of the Waves and Siam Wave Park (Africa and Malaysia respectively) for projects. From an organizer standpoint, the Stab High wave pool contest puts a lot on the line. The media entity has sunk a cool half million on the event. They will also launch an ambitious Pay-Per-View format ($9 – $14, early bird vs standard rate.) The event will air at 2pm CDT on September 22. Granted there’s a lot involved in putting on a show of this magnitude. The WSL has a whole team whose sole job is to pick up and put on an event in various locations around the globe. To set up shop at the BSR Surf Ranch, Stab has their work cut out for them. But these are the people who did “The Dock” with Volcom. They produced a truly innovative and thoroughly enjoyable car crash of a surf session in Bali with some of the world’s best aerialists jumping into waves off a floating platform. So expect something fun, and irreverent regardless of the headaches behind the scenes. The crew is also fatigued by the obligatory “chairing” of an event winner up the beach at traditional WSL, ISA, NSSA events. – Each surfer gets four rights and four lefts, with the top right score and top left score counting toward the surfers’ two-wave totals. – The top eight two-wave totals from the preliminary round will advance to the Semi-finals*. Semi-finalists will receive another four rights and four lefts, again counting their top right score and top left score toward their two-wave totals. The top four two-wave totals will advance to the finals*. – Finalists will receive four rights, four lefts, and one bonus wave of their directional preference. Whichever surfer has the highest two-wave total (using a right and a left) at the end of the final, wins. *Should two or more surfers tie in the qualifying round, there will be a surf-off between those competitors. In the surf-off, each surfer gets two waves of their directional preference. Top single score wins. A partial list of surfers includes Albee Layer, Matt Meola, Dion Agius, Jay Davies, Chippa Wilson, Not Deane, Mason Ho, Jack Freestone, Harry Bryant and others. Fans who want to attend the party, uh wave pool contest, in person can order tickets here ($38 general and $175 VIP).